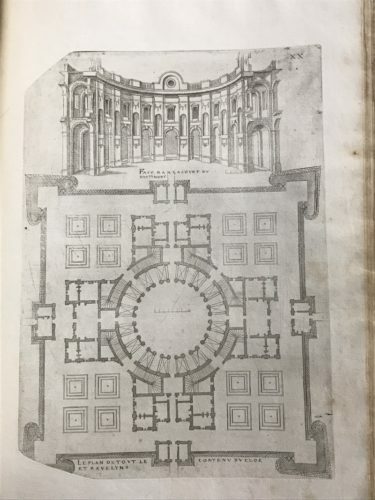 But after I thought about it, it seemed more appropriate to talk about the prints in the book.1 Andrea Cawelti guessed right: the wavy lines on this image correspond to cracks in the plate, which retained ink and printed. Clearly something was wrong with the set of plates used for this book. 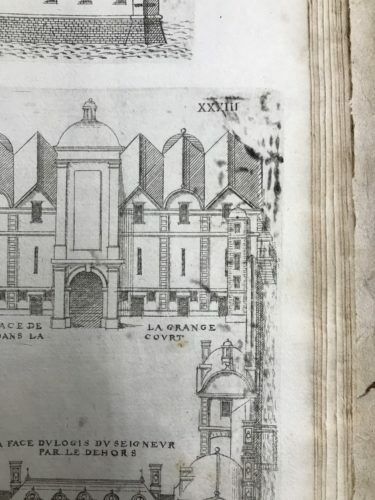 Clearly some of the defects visible in the prints of the 1615 edition were already visible in 1582. 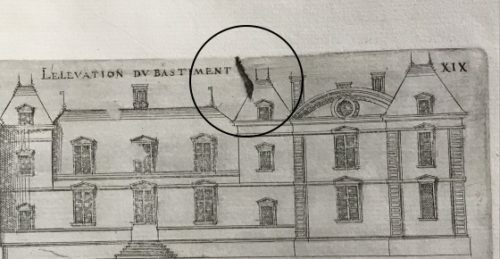 But it is also obvious that some of the cracks are larger in the second edition: for a comparison see a copy of the 1582 edition available from the Université de Tours. 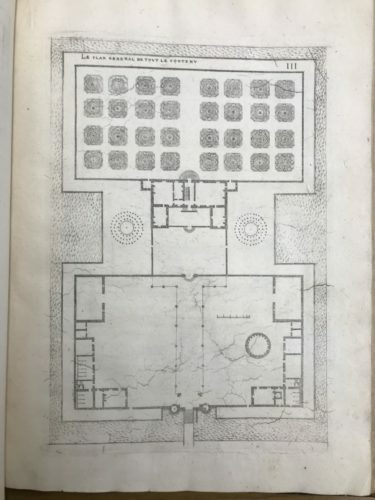 For example, the plate corner missing in our copy was still standing in this copy of the first edition. Recently, the biologist Blair Hedges has argued that the wear and tear of engraved or etched copper plates is not related to their printing and the tremendous pressure applied by the roller of the press on the plate, but to the corrosion of the plate and its polishing before its use in later print runs, causing the thinning of the plate and of the lines.3 While corrosion was likely a factor contributing to the deterioration of plates over a period of time, early modern printmakers also knew that, even within a single print run, the quality of impression would deteriorate after the printing of a certain number of prints. 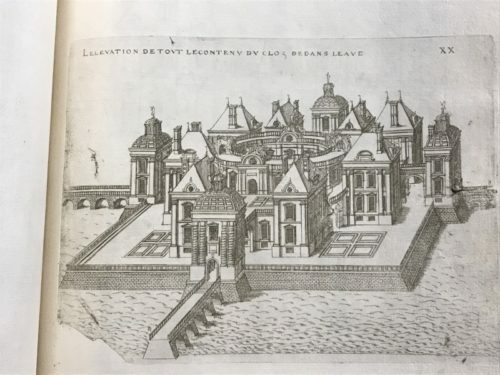 Antony Griffiths has explained this in his recent book,4 and he also details the various print capacities of engravings versus etchings and other techniques based on the shallowness of lines. 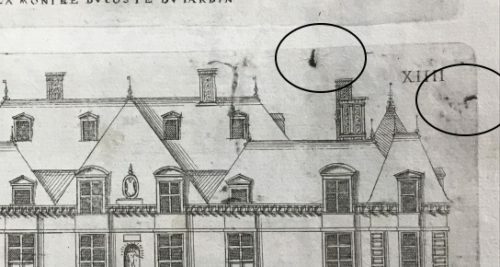 In the case of Androuet Du Cerceau’s etchings, I suspect that the first cause of their defects was the poor quality of the copper plates used for this project even before any printing had started. 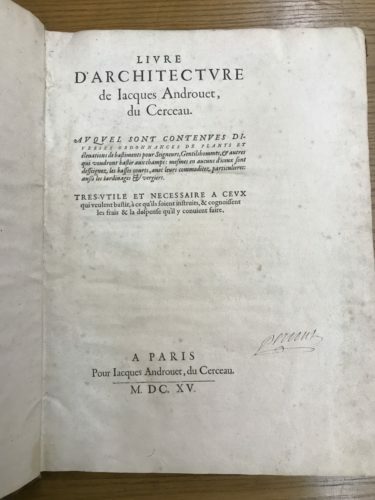 The third Livre d’architecture was published in the midst of the religious wars when it might have been difficult to find high quality copper plates, which were very expensive anyway (copper was then solely produced in Germany in Europe). 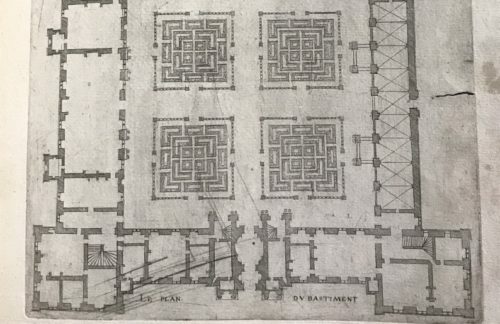 A combination of corrosion, poor storage conditions, and repeated printing then likely created the defects appearing on the 1615 prints, leaving us with the fascinating (but messy!) 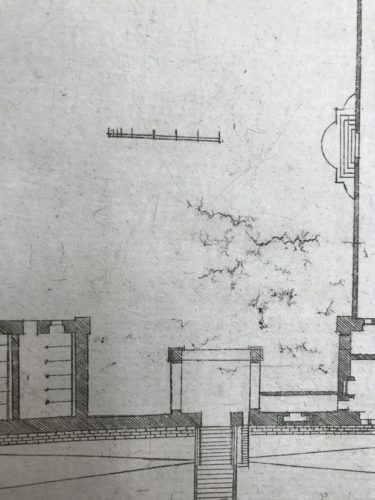 illustrations we see today.